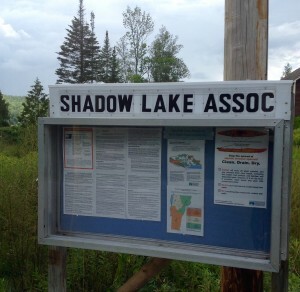 The Shadow Lake Association (SLA) is a member-supported non-profit 501(c)(3) tax exempt organization dedicated to improving the understanding and management of Shadow Lake for its long-term environmental health. The mission of the Association shall be to collaborate with lake residents, the Town of Glover, and the State of Vermont, to learn, educate and foster best management practices around Shadow Lake, in order to preserve and promote the healthy ecology of the lake and to ensure pristine water quality for the benefit of current and future generations. Directors – David Burke, Cori Dudley, Ken Guilbault, Pete Gosselin, Kurt Muller, Howard Robinson, and Kristine Tooker. The Shadow Lake Association is a founding member of the Federation Of Vermont Lakes And Ponds (FOVLAP). 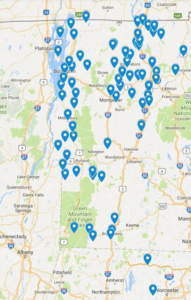 The initial organization began in 1972 and evolved into a statewide organization networking with more than 35 local lake and pond associations, other VT non-profit organizations, individuals and businesses who have joined together to protect and improve the quality of the environment and the pleasure of living near and using, Vermont’s lakes and ponds. FOVLAP collaborates closely with the VT Dept. of Environmental Conservation Lakes and Ponds Management Program. Former SLA director, Christine Cano, is currently serving her second term as a director of FOVLAP. and a member of Watersheds United Vermont (WUV) a state-wide network of local groups dedicated to the health of their home watersheds. Their mission is to empower community-based watershed groups in all parts of the state to protect and restore Vermont’s waters. Lakers may want to subscribe to the Glover Ambulance squad Emergency Service. A subscription covers all the members of your household/camp. Your membership covers whatever your insurance doesn't pay for or if there is no insurance, it will cover the entire bill. Also, 911 address number reflective signs, are available. The high visibility signs aid the squad in locating your camp as fast as possible. You can subscribe at the Glover Town Clerk's office at any time or print this subscription form and mail it in. You must have Adobe Reader (available free of charge) installed on your system in order to read or print the subscription form.